7venth Sun held its grand opening on January 7, 2012 in Dunedin, Florida by owner/operators Devon Kreps and Justin Stange. The partners met at Sweetwater Brewing in Atlanta where Justin worked in brewing, cellar and packaging operations and Devon was Production Manager. 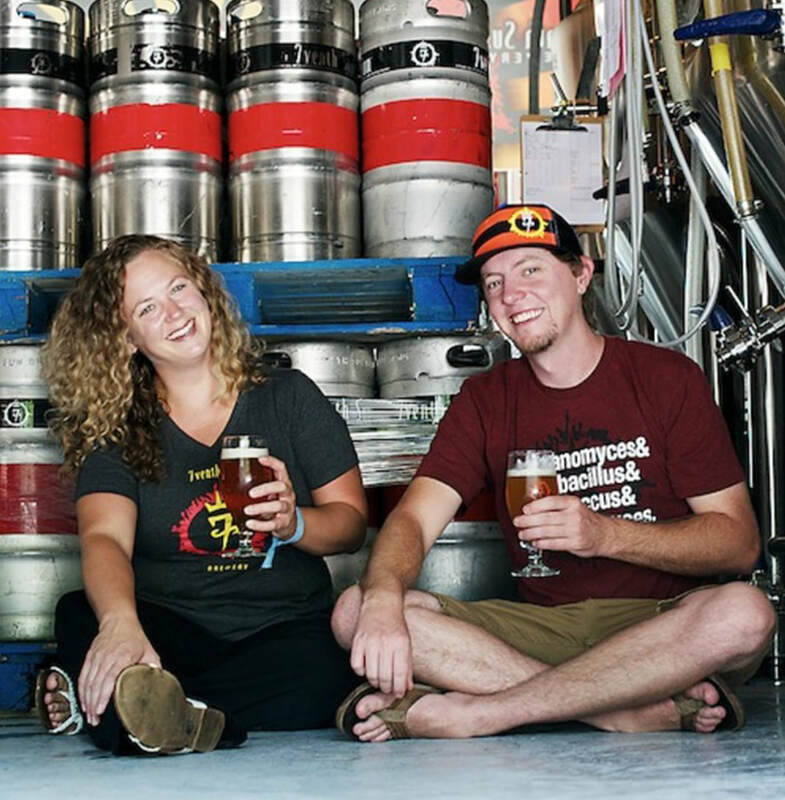 Prior to Sweetwater, Devon graduated from Oregon State University with a degree in Fermentation Science, brewed in Anheuser-Busch’s pilot facility and was a manager at AB’s Cartersville location. After moving to Tampa Bay to start 7venth Sun, Justin was one of the earliest employees brought into Cigar City. Though the team originally intended to open a large production facility in Tampa, the housing bubble burst leaving them struggling to find funding and the decision was made to open a small facility in the coastal town of Dunedin. Starting the small brewery proved serendipitous as it allowed the creation of a wide variety of styles, which was an extremely liberating change from the large production brewery setting. While working out new recipes, Florida Weisse stepped into the horizon. Inspired by Professor Fritz Briem and Schlossbrauerei Au’s Berliner Weisse, 1809, the pair thought it was a perfect style to complement Florida’s sunshine. They collaborated with other burgeoning breweries, discussing process ideas, and dipped into the vast availability of tropical and citrus fruits the state had to offer. It was the beginning of a path that set the tone for 7venth Sun – innovating traditional styles by taking a new approach. Since then, 7venth Sun realized the dream of a Tampa facility which opened in the Seminole Heights neighborhood, in August of 2017. Though larger than the original location, the 15 barrel system carries on the philosophies that began in Dunedin, continuing to push the limits of style descriptions and categories, shifting the focus to barrel-aged beer, both sour and spirit aged, in addition to Saisons and IPA's.